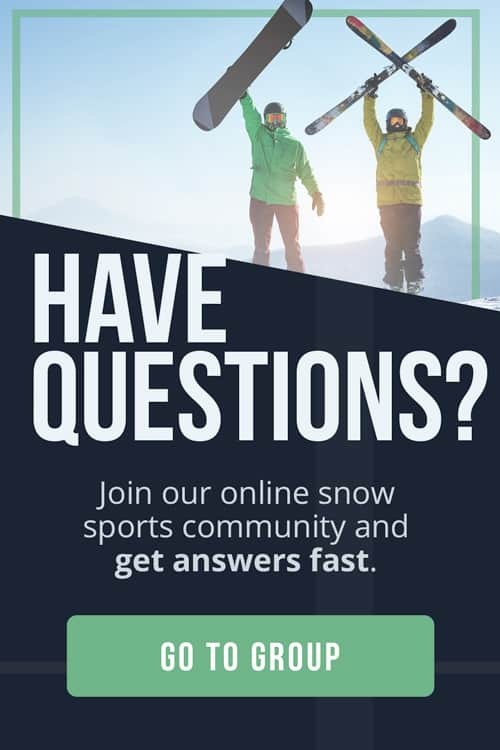 Your skis might be able to cope with ripping around the mountain throughout the winter, but what happens when they are left in the attic for the summer? Your beloved skis might be beasts off-piste but they’re gentle puppies back home, needing love and care to make sure they stay in top shape. Knowing how to store skis is crucial if you want them to perform well season after season. Everything from dampness and mold to dryness and seasonal changes in the atmosphere can affect the health of your skis. The last thing anyone wants is to find their bases dry and cracked or their top coats delaminating after spending the summer in storage. 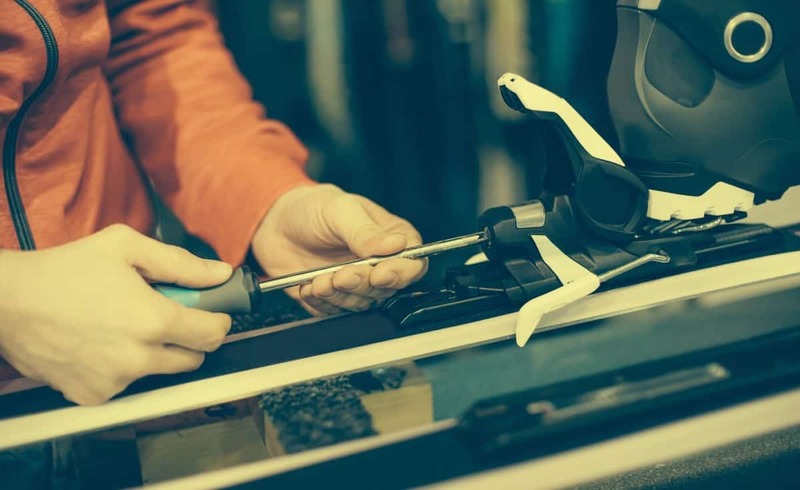 Taking a few simple steps is all you need to ensure your skis stay at tip-top condition. When the rivers start rising with meltwater, it’s time to leave the slopes and put your skis to bed for the summer. You spent a lot of time choosing your skis and now that winter is over, it’s imperative that you store them properly. This prevents them from degrading while not in use and keeps them shiny for next year! Preparation for storage is fairly simple. You can either do it yourself or take your skis to a ski shop for a spa day. To do it yourself, all you really need is warm water, a cloth, a bronze or steel brush, a waxing iron and some wax. If you’ve been taking care of your skis all season, then you’ll probably already have everything. Skis lead tough lives. 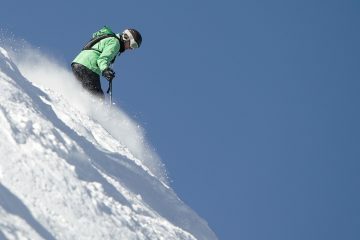 In fact, even fresh powder isn’t as clean as it looks and spring snow is notoriously slushy and often mixed with dirt. If you keep your skis on the roof of your car while you drive to the mountain, then chances are there’s even salt embedded in your bases. Cleaning your skis is super easy. You can just use water, a cloth and a bronze base brush. Depending on how house-proud you are, you can either wash down your skis in the shower or outside using a garden hose. Give the skis a good clean with water and your cloth, but avoid power hosing the bindings. You don’t want to push water into the binding mechanism. Once your skis are dry, give them a gentle brush with the grain of the bases. Do this from top to bottom and not side to side. You can use a normal bronze or steel ski brush for this step. Brushing gets rid of the remaining dirt. Then, wipe the bases using a cloth. Rust is the enemy of skis, and the burrs in the edges can be a haven for this stuff. Sharpen your edges one last time using a proper edge tool to ensure they’re rust-free and will stay that way. Not only is this good end-of-season practice, but it also means you’ll have sharp edges ready to go next season! 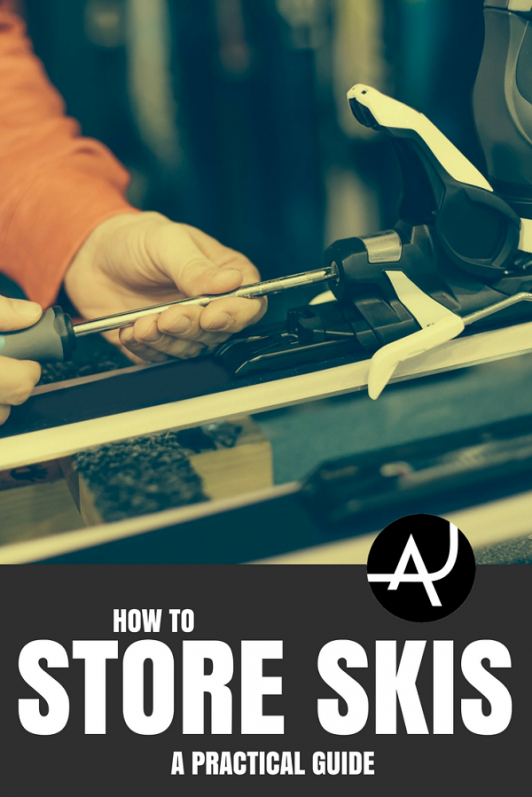 Taking your skis to a ski shop for a service is another easy way to get them ready for summer storage. This is particularly good if your bases have seen much better days and need to be refreshed. In late spring, we often get tempted by that one last valley run even when there’s more grass than piste. A ski shop can take out those nasty grooves and sharpen your edges for you. 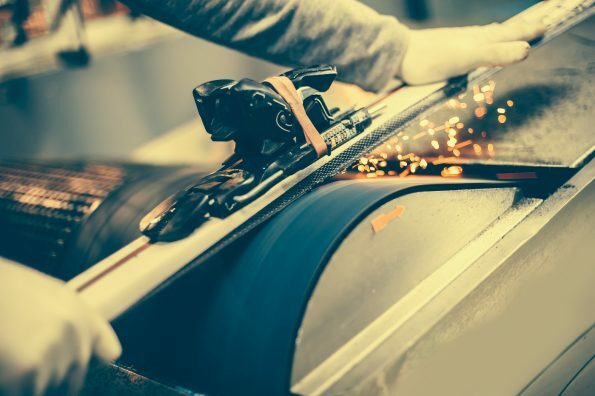 After cleaning and tuning, waxing your skis is a crucial step for summer storage preparation. A good layer of hot wax over the bases and edges will keep dampness out and prevent rust from gnawing away while you’re at the beach. The key here is to apply a nice thick layer of wax and keep it there. All you need to do next season is scrape it off and you’re ready to go! Your bindings serve as the middle man between you and your skis. Clever and intuitive creatures, bindings need care as well. Different people store their bindings in various ways, but the most straightforward style is just fine. Do this by dialing down the DIN settings with a screwdriver to release tension. Ensure that they’re completely dry after a light cleaning. This is the area where some people struggle. Skis are pretty large when it comes down to it. The natural reaction is just to shove them in the garage or attic and be done with it. But, temperature changes greatly affect skis and these storage places aren’t really the best options for them. Essentially, your skis don’t want to deal with extreme temperature change. They definitely don’t want to get hot or damp as well. Storing skis is like storing biscuits. You should always make sure to keep them in a cool, dry place out of direct sunlight. Attics and garages can get hot in the summer. Garages especially can get damp. Ideally, skis should be stored in the house like the place under your bed. As living spaces, houses generally have good temperature control. Besides, what suits you will also probably suit your skis. Because many skis now have cambers and rockers, you need to ensure that they aren’t compressed at all. The easiest solution is often just storing them on their sides and sliding them under the bed. You can also strap them lightly together by their tips and tails as long as you aren’t altering their natural camber, rocker shape. Skis aren’t the only thing you need to store carefully. 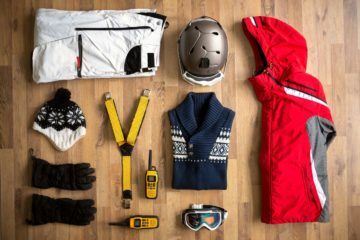 While they’re certainly the most temperamental (and probably the most expensive items in your snow repertoire), don’t just store your skis and forget the rest of your stuff! Let’s quickly look at your other snow hardware. 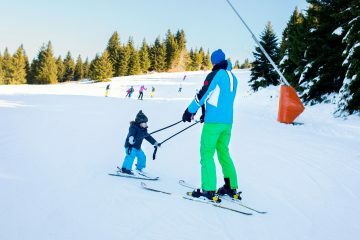 Besides, you shouldn’t forget to look after your ski jacket and pants too! Clean these well and remove the liner. Ensure that the liner and shell are thoroughly dry. Check that the shell buckles up loosely. As with skis, boots and liners should be stored in a cool dry place and not compressed at all. Heat molded liners can lose their shape if stored somewhere too hot or somewhere that suffers from extreme temperature changes like a shed or attic. A closet is generally your best bet. Ski goggles should be cleaned with either warm water and mild soap or a plastic lens cleaning solution. You should be able to easily look up the recommended solution for your goggle brand. A microfiber cloth, which is often included with your goggles, is ideal for cleaning and buffing your lenses. Storing goggles after they’re clean and dry is often simply a case of putting them in their goggle cloth bag, hard case or even just the box they came with. Hard cases are ideal as they protect your goggles from knocks or getting moved over the summer. As you can see, storing your skis for the summer isn’t difficult at all. 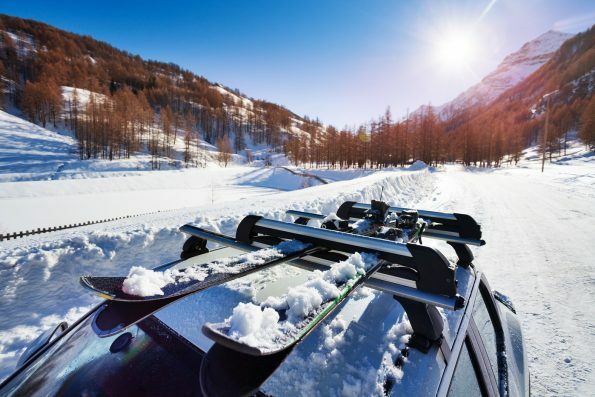 A good clean and wax can easily get them ready by your next skiing adventure. Meanwhile, an out-of-the-way spot in the house keeps them dry and protected. Following the simple steps given in this article will ensure that your skis will be in full health for next season. Now, did someone say beach?